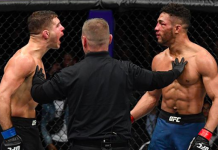 Former UFC lightweight Jeremy ‘Lil Heathen’ Stephens (20-9) has made the drop to featherweight following a three fight losing streak. 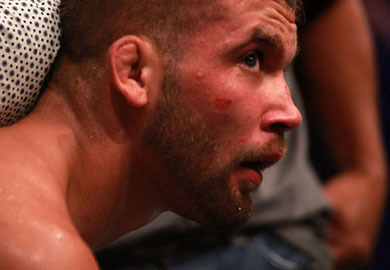 Stephens will take on promotional newcomer, Estevan Payan (14-3) at UFC 160. Stephens is returning after a first round knockout loss to Yves Edwards back at UFC on FOX: Henderson vs. Diaz back in December 2012. 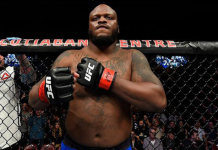 He was knocked out in the first round and will most likely be fighting for a spot on the roster as the UFC has announced plans to cut a large number of fighters to accommodate the number of events that they expect to put on each year. 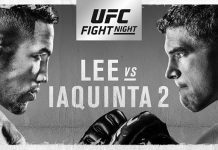 If Stepehens wins, he will have found a home in a dangerous division. For Payan, his UFC debut will come against a credible name in the lighter divisions of the UFC as Stephens is a veteran of the Octagon. 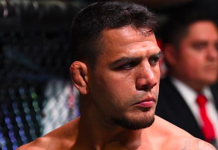 Payan is the older of the two however and will look for a big win to start his UFC career, one that, at the age of 30, may already be on borrowed time. The fight will take place on May 25th, at the MGM Grand Garden Arena in Las Vegas, Nevada. 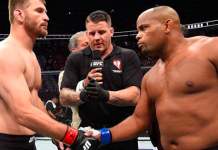 The headline will be a rematch between heavyweight champion Cain Velasquez and Antonio Silva while the co-main event features the long-awaited matchup between former heavyweight champion Junior dos Santos and Alistair Overeem on what will be a day shy of the one-year anniversary of their orignally scheduled title fight back at UFC 146.